Twenty three years ago, a group of women that we probably never pictured together burst onto the movie screen and created a classic film. Enter Sally Field, Dolly Parton, Shirley MacLaine, Daryl Hannah, Olympia Dukakis, and Julia Roberts who brought us Steel Magnolias. It was a movie that taught us about true friendship, motherhood, challenges, and more. All of these years later, the movie still holds up. Lifetime Original Movies has remade Steel Magnolias and it will be premiering this Sunday. Once again an amazing cast of strong women are playing the characters that we have known for over two decades. The actresses include Queen Latifa, Jill Scott, Alfre Woodard, Adepero Oduye, Phylicia Rashad, and Condola Rashad. As a Lifetime Mom affiliate, I had the opportunity to get a screener of the movie. The story is the same, the lines practically identical, the acting very powerful. Some items are a little more updated (there is a mention of Facebook), but honestly the only real difference is that it is set in our current time and now there is an all African American group of actors. Since I adored the original, I wanted to see this new version. Would it live up to my expectations or would I hate it? Could I get past recalling Shirley MacLaine playing Ouiser? Truth be told, I am not entirely sure what I think of the movie. The acting is strong, and the story is identical and scripted words the same. I guess I wish a few inaccuracies had been corrected from the first movie to this new one. Still, I did enjoy seeing new actors showing their interpretation of a classic role. Once again, these beautiful actors (inside and out) show the strength, courage, and compassion needed when being a lifelong friend. Yes, I admit it…I found myself crying with this movie even though I knew all along what was going to happen. Are you a fan of movie remakes? Let me know why you do or do not like them. I would also love to know if you plan on watching the Lifetime version of Steel Magnolias. Disclosure: I am a Lifetime Mom affiliate. As a part of this, I was offered a screener DVD of "Steel Magnolias" to view. No compensation was given and the opinions expressed are my own. I’m neither a TV or movie fan. If I do have the TV on, it’s usually turned to CNN and in the background while I blog and/or read. It depends….i have been really looking forward to seeing this version of SM cause I really like some of the cast. Dirty Dancing, I probably won’t see till its on HBO or similar, because I don’t want them to profit off me seeing it…I will see it out of curiosity, and am probably determined to not like it. Thats how I saw Footloose and it was in my opinion AWFUL. I generally don’t like remakes at all. It’s good to see a representation of me. I’m not sure about all movie remakes, but for me, I like this one and I can’t wait to see it. JamericanSpice / Colette S´s last blog post ..What’s The Last Thing That Irritated You? I can’t imagine a remake of Steel Magnolias. It would be interesting to see though. My brother-in-law is so against remakes that there are certain attractions he wouldn’t go on at WDW because he didn’t think they would hold up to the originals at Disneyland. He cracks me up! 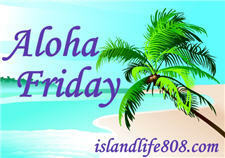 Menopausal New Mom´s last blog post ..Aloha Friday – Seasonal Decor Edition! i do love movie remakes, but not really a fan of it. It depends on what movie it is. I’m usually not a fan of remakes, but I can’t wait to see this one. I’ll be watching with my mom and girls this weekend. This one- yes. Most others- no. Especially when a classic movie is ruined. Harriet´s last blog post ..how’s your weather going to be this weekend? I have seen the commercials for this on TV and it is just odd. I don’t think I will watch it because I think I would just be thinking the same thing all the way thru – this is odd. Generally I do not like remakes anyway. I’m sure there may be a few exceptions, but not many. I didn’t know it was going to be on, but I shall check it out. I like some remakes, but the classics absolutely not they should definitely leave them alone. Would you watch Gone with the wind with anybody, but CLARK GABLE?? I think not or Wizard of Oz without Judy Garland. Too sad. No, I really don’t care for remakes, but I must say one thing. Johnny Dep wasn’t bad in Willy Wonka. Xmasdolly´s last blog post ..Flashback Friendship Aloha Friday! I love that movie! I will probably check out the new version. I have mixed feelings about remakes – some are good and some are really bad. I do not care for remakes the majority of the time. I don’t plan on watching the new version of Steel Magnolias.